ESB Networks have confirmed that up to 67,000 homes, farms and businesses are still without power this evening. Crews are currently working to restore power to those affected by the extreme weather conditions as Storm Ali swept across the country today. "The damage is mainly attributable to fallen trees on overhead lines as a result of the high winds," a spokesperson said in a statement. "ESB Networks crews worked throughout the day to restore power to 119,000 homes, farms and businesses who lost supply due to the impact of Storm Ali. At the height of the storm, 186,000 customers were impacted. Approximately 67,000 remain without power." 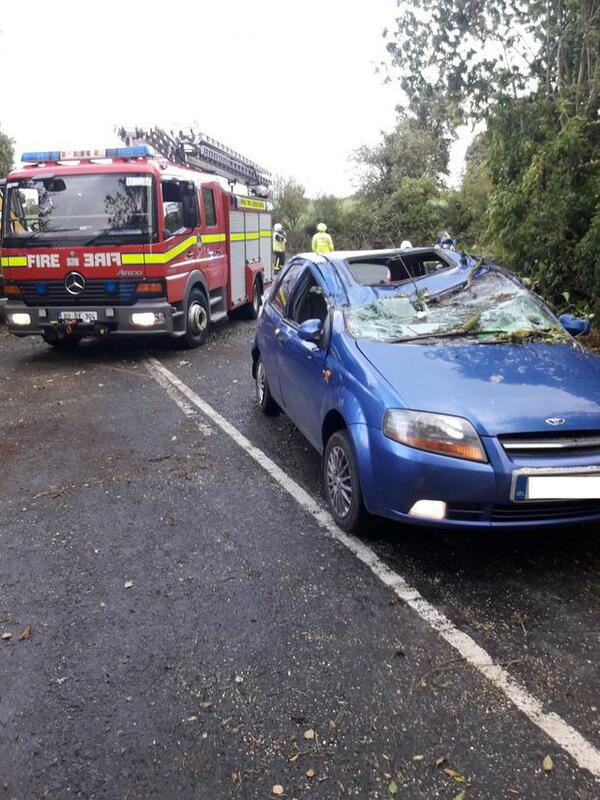 The storm caused chaos throughout the country as it moved across the island today. ESB Networks apologises for any inconvenience caused. They said they have mobilised repair crews "who are currently working in very difficult conditions to restore power as quickly as possible to affected customers, once it is safe to do so". Meanwhile, Scoil Muire primary school in Carlanstown, Co Meath is closed due to power cuts. Scoil Muire primary school in Carlanstown is closed due to power cuts. ESB said it predicts that it will take up to three days to restore power to customers affected but that the "vast majority of the 126,000 customers affected will their power restored sooner than that." Sorcha O'Connor New driving guidelines will allow sufferers of mini-stroke back on the road in one week if they've recovered properly and have been assessed.